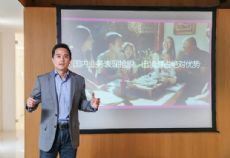 The domestic business of US-based Airbnb, a firm that provides online bookings for homestay services, has increased nearly three times in the first quarter of 2019 year-on-year, fueled by the continued efforts of product localization and a strong push in domestic marketing campaigns, said Peng Tao, president of Airbnb China. In addition to traditional first-tier cities such as Beijing, Shanghai and Guangzhou, Airbnb is becoming more popular among millennials from second and third-tier cities. The top 10 origin cities that have witnessed the most rapid growth include Chengdu, Chongqing, Wuhan, Xi'an, Tianjin, Changsha, Suzhou, Zhengzhou, Ningbo and Foshan, according to the company. Vacation rental markets such as Sanya, Qingdao and Beihai continue strong growth and reached four times year-on-year growth in Q1, 2019. Similarly, growth in Xi'an, Zhuhai, and Dali reached a three times year-on-year increase. Airbnb has become one of the top choices for Chinese millennials who travel. "We saw a seven times surge in bookings on the day when the Labor Day holiday, which lasts four days, was officially announced," Peng said. Airbnb China's business growth continued its strong momentum in domestic travel, while maintaining a leading position in outbound travel in the first quarter of this year. It continues to be one of the top choices for outbound Chinese travelers. Based on Airbnb's data, Chinese guests have become the top origin market for Australia, Thailand and Japan. So far, Airbnb has a strong global network with 6 million listings worldwide, and nearly 80 percent of Chinese hosts are millennials.